But these pork enchiladas did not disappoint. I know on multiple accounts I’ve shared my love for cooking food in the crock pot. And coming home from church to this pork cooking was as good as anything. We all loved the taste of this pork, and I love the texture that it gets from cooking in the crock pot. Also, I have developed a deep love for cumin. The smell, the taste, its just perfect. So, please enjoy this delicious recipe for me. I know you won’t be dissapointed. 1. Combine pork, chicken broth, onion, and spices in a slow cooker. 2. Cook on high for 4 to 5 hours or on low for 7-8 hours. 4. Remove pork from crock pot and shred using 2 forks. 5. In a large bowl, combine pork, 3/4 cup enchilada sauce and 1/4 cup liquid (from the crock pot). 6. In another bowl combine remaining enchilada sauce, 1/2 cup liquid and green chiles. 7. Spread 1/2 cup of the enchilada sauce mixture on the bottom of a 3 quart baking dish . 8. 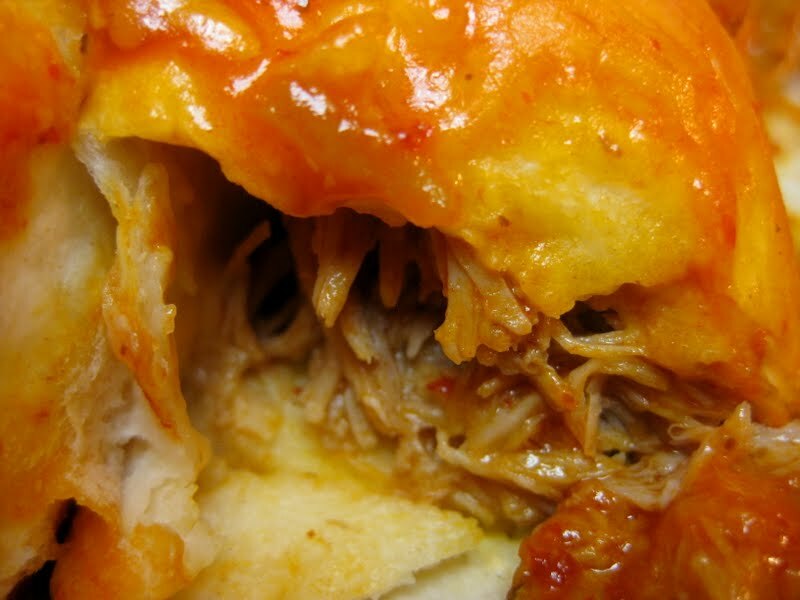 Divide pork mixture and half of cheese between the tortillas. 9. Roll tortillas and place them in the baking dish, seam side down. 10. Cover tortillas with the remaining enchilada sauce mixture. 11. Cover pan with foil. 13. Remove foil and sprinkle with the remaining cheese. 14. Bake for another 5 minutes, until cheese is thoroughly melted. 15. Enjoy topped with your favorite salsa, cilantro and sour cream. 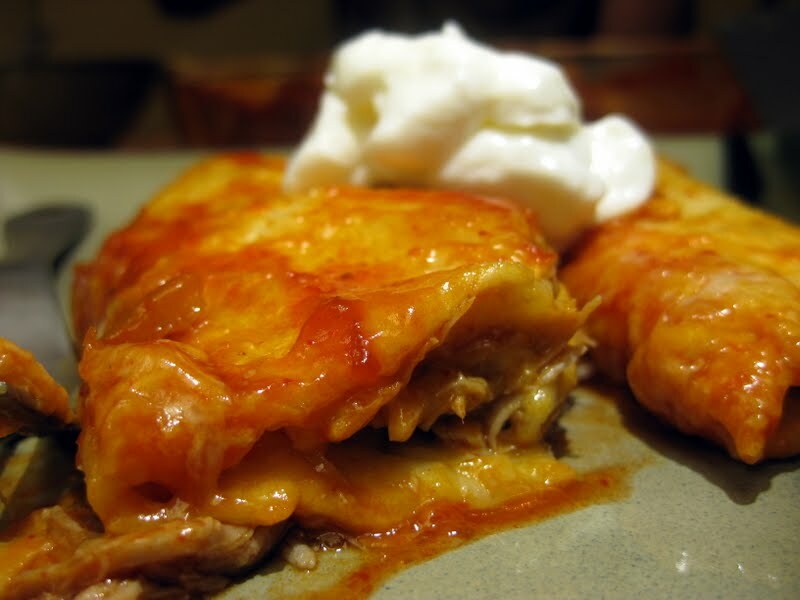 **My favorite enchiladas are from the restaurant Rosa’s in Fallbrook, CA (where I’m from). Although I get enchiladas almost every time I eat at a Mexican restaurant I still haven’t found anything to surpass my love for Rosa’s chicken enchiladas. And although I loved the recipe I used here, they still weren’t as good as Rosas. And I’m still on the quest to find the best enchilada sauce recipe. So if you have one that is THE BEST, please share it with me. As I am desperate out of lack of ability to travel to Rosa’s anytime I’d like. Please and Thank You. From fallbrook!? Me too! Off of Alvarado lol small world. How cool! I’m in Utah now, but we were on Palomino, or just off McDonald! I have frozen them before, but you’ll have to rebake them when enjoying them again, and the tortillas won’t get as crisp as they first were. Sounds fantastic Vicki! I must try! Thanks so much. Also, thank you Aimee for your great recipe! 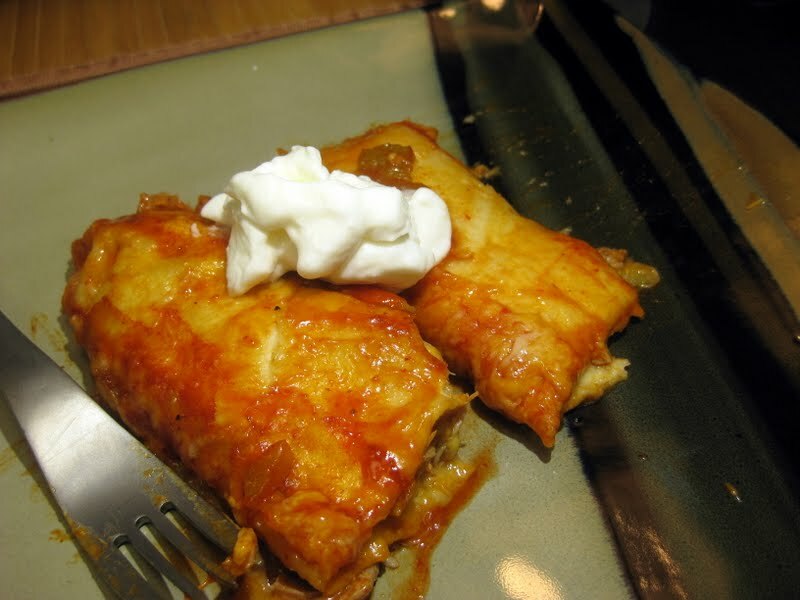 I haven’t tried any new pork enchilada recipes, sorry! Sounds delish! I'm featuring this as the treat of the week on Topsy Turvy Tuesday's! Oh my goodness, these look tasty. I too love crockpot recipes. Coming home to the smell of dinner already cooking is the BEST.